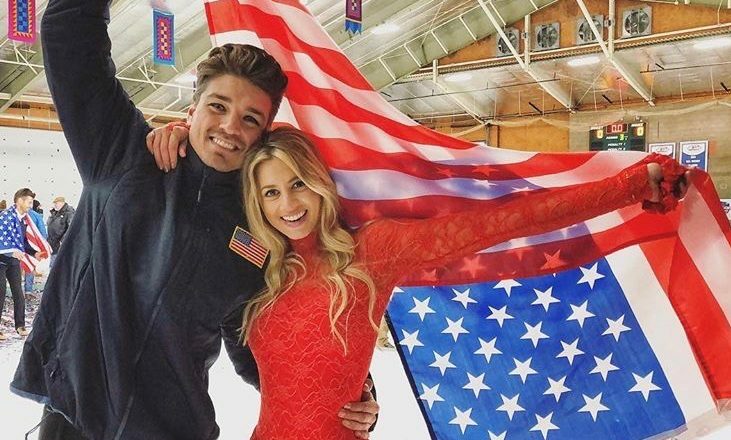 In latest celebrity news, The Bachelor Winter Games star Lesley Murphy and Dean Unglert have posted on their Instagram accounts in such a way that makes it seem as if they went through a celebrity break-up with each other. The former celebrity couple were spotted together at the Sundance Film Festival in January, and that’s when we knew they were dating. Yet, Murphy wrote in an Instagram caption two days ago stating, “All we need is that same energy reciprocated, and despite how open and loving you attempt to be, people can only meet you as deeply as they’ve met themselves. Don’t be afraid to be the one that loved the most and give everything you had, because you’ve got to find people who love like you do and who are ready.” She also goes on to state that she is “out with the old, in with the TRUE.” This definitely seems like the two went through a break-up. To add to the speculation, Unglert also wrote on Instagram, “As I’ve gotten older, I’ve learned that although everyone DESERVES love, it’s not something we’re entitled to. Love takes work. Love is compromise. Love is earned. I still have a lot of work to do on myself, a lot to prove to myself, before I’m ready for something like that.” To conclude, a source informed EOnline.com that the pair did indeed break up recently. The aspects of distance and traveling are said to have had some effect on their relationship. The two plan to continue as friends. This Bachelor Winter Games celebrity break-up wasn’t really unexpected, but Lesley had some things to say about it. What are some benefits to getting your side of a break-up story out to your family and friends? 1. They will know the truth: You definitely want your closest friends and family to know the truth about why your break-up occurred. Fill them in on how you feel about it so that they are not left in the dust to wonder how you are doing. Your ex-partner may have a different side of the story, and that is okay. Both of you guys can expose your thoughts and feelings on the matter in order to make for a healthy, transparent split. 2. They will support you: During this time of a break-up, it is usually beneficial to have the support of your friends and family. How are they going to know to support you if you don’t let them in on what is going on? Be open with them. This will help to both get your feelings out and inform the ones closest to you. 3. They will try to understand: Even though no one can ever feel the exact same way you do, people can at least try to understand. By doing something like posting an Instagram post detailing your feelings, it helps for your friends and family to see where you are coming from. The more they understand, the easier it is for them to continue to love and support you. What are some other benefits to getting your side of a break-up story out to your family and friends?